BIRMINGHAM, Ala. (July 30, 2018) — The bribery and corruption trial U.S. v. Gilbert, et al yielded many disturbing revelations, including the failures of leaders at the Alabama Department of Environmental Management (ADEM) and the Alabama Environmental Management Commission (AEMC) to avoid conflicts of interest with those whom they regulate. Coincidentally, LeFleur’s annual job evaluation and public comments are due today, July 30. 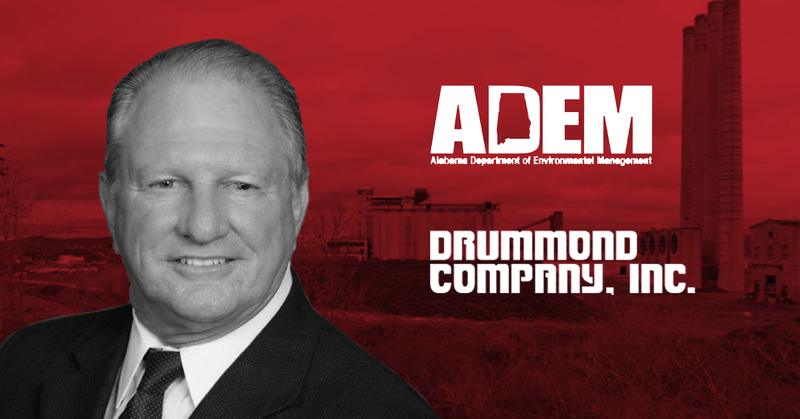 This morning, Black Warrior Riverkeeper emailed its evaluation of Director LeFleur to the Personnel Committee of the AEMC, which oversees ADEM. The letter calls for LeFleur’s resignation or termination due to his consistent failure to lead and advance ADEM’s mission. Groups signing Black Warrior Riverkeeper’s letter include Alabama Rivers Alliance, Cahaba River Society, Cahaba Riverkeeper, Choctawhatchee Riverkeeper, Environmental Defense Alliance, Friends of Hurricane Creek, Friends of the Locust Fork River, Gasp, Little River Waterkeeper, and Tennessee Riverkeeper. For more information, contact Black Warrior Riverkeeper Staff Attorney Eva Dillard at [email protected] or 205-458-0095. EPA Region 4 Administrator Trey Glenn was paid by Balch & Bingham and Drummond Company as a consultant on the 35th Avenue Superfund Site. He has a clear and lasting conflict of interest and therefore must recuse himself permanently from all EPA matters involving the 35th Avenue Site or former clients.